Well, from various benchmark sites to leaked images, the Meizu Pro 7 has been surfacing online for quite some time now. Recently, we also saw live images of the alleged device. One of most the highlighted features of this smartphone is the secondary display on its back. As we have seen in most of the leaks, it will come with a secondary ink display at the rear panel. As for functionality, it is likely to show notifications for missed calls, SMS, chat messages along with date and time. 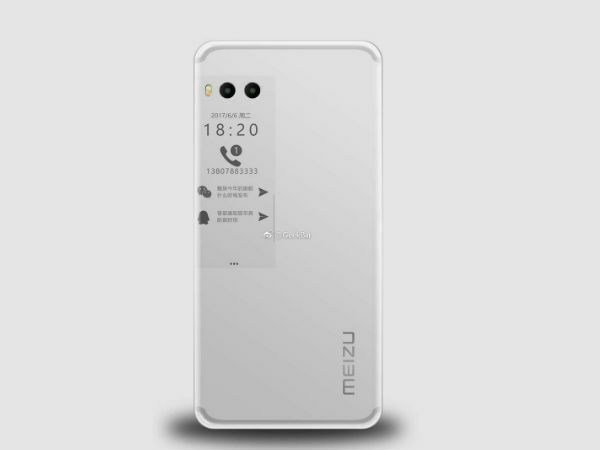 Apart from the specs, we also knew the probable launch timeline of the Meizu phone. Now, a new leak has revealed the exact date when the Meizu Pro 7 will launch. According to a website called anzhuo.cn, Meizu will take the wraps off its flagship phone on July 26. While it doesn’t come from an official source, we have previously seen rumors and leaks coming true. So there is a possibility that we will get to see the Pro 7 in a month. Talking about the features, the Meizu Pro 7 is likely to sport a not-so-large 5.2-inch AMOLED display with the resolution of 1080p. Under the hood, it is said to employ a Deca-core MediaTek Helio X30 processor along with 4GB/6GB of RAM and 64GB of ROM. There will also be a large 3000mAh battery to keep the lights on. In addition to this, the phone is expected to run on Meizu’s own Flyme OS that is based on Android 7.1.1 Nougat. On the optics front, it is being assumed that the device will come with a rear dual camera setup. If you wondering about the Plus variant of the Meizu Pro 7, presumably it will get unveiled at the same time.